Life changing things happen in ordinary moments. There is no dramatic music or stylistic pan in with the camera. No voice over to prepare you, or lighting changes to soothe the moment. It happens in an instant and we wonder, is this real? Real life doesn’t just happen like this. This happens on big screens, with ebb, flows, story line climaxes, and happy endings. And the future you had so carefully mapped out disintegrates into a mist of unknowns. Nothing is for sure: Those moments teach us that lesson with little consideration for our sanity. I’ve lived too many of those moments. So when a quiet moment comes, when things can swing either way, it’s hard for me to have hope. Bad things happen amidst all the ordinary. Life changing moments don’t count how many you’ve had before. They come when they come because as joyous as life can be…it is equally hard. The two exist: The light and the dark. And where you’ll be tomorrow is a mystery. There are no weather forecasts to help you know what to expect. So how do I live without hiding under my bed, I wonder? What is it that makes me wake up in the morning smiling, expecting a happy normal instead of a devastating one? When I’ve experienced so many of those moments, how do I find that feeling of hope that is essential to my existence? Is it in the acceptance of life’s dramatic change of tide? Is it believing in a God that tells me I wasn’t sent to this Earth to be miserable? Is it faith in a plan, that although twisted and sometimes shocking, is designed just for my growth? Maybe all those things, though my gut tells me there's more. Like, there is a point to all of this. I don’t want to say it all happens for a reason. Were my boys diagnosed with a lifetime disease for a reason? Did Ryan pass away for a reason? Has moving to Indiana been so hard for a reason? I can’t say I believe those things. I do believe I’m supposed to learn from those dark moments...but I don’t believe that translates into bracing myself when I wake up every morning. I think learning to focus on the light is paramount to my survival. Anger breeds more anger. Resentment breeds more resentment. Despair breeds more despair. And happiness breeds more happiness. And the truth is, when I look for miracles, I find them. Not only in my past, but daily. Being mindful of the miracles, I think, is what keeps my motor running. The extraordinary doesn’t come from outside forces. It comes from us and where we put our focus. Because light and dark don’t exist separately. Somehow they coexist. It’s up to us to weave through the shadows to find the sometimes thin stream of light coming in from a crack in the window. I really believe we can best survive when we embrace the light. Finding the miracles, loving those around us and seeing the good when it’s all tangled with the bad. I need to work more on accepting those dark places as a neighborhoods bordering the light ones. Maybe even seeing the dark places as maps to the light? I need to work to find joy in the journey, not the destination. The journey that weaves through good and bad in the ordinary day. Hope, here I come again. But also acceptance, and love. I know we’re all equipped to handle those things. And I know, somewhere deep inside me, that isn’t an accident. What I don't know, hurts them. I think we can agree that Diabetes is complex. Part of that stems from the fact that every person with Diabetes is unique. There are no “cookie-cutter” people with Diabetes. This has become painfully clear to me as I raise three boys with Type 1 Diabetes. They are brothers, but they all have their own bodies. …Their own ways to take care of their Diabetes. One size does not fit all, and it’s fallacy of me to think otherwise. Uniqueness doesn’t only lie in our society's point of view, but also in our genetic make-up. Sure, some of us can be the similar, but none of us are the same. Hence, different strokes for different folks. Especially in the Parent community, we all have different ways of raising our children with Diabetes. We all, individually, do our very best…and we can’t do better than that. But this last week I’ve found my life in a series of paradoxes that I’ve had a hard time wrapping this swelly mom brain around. So here I am, in my safe place, trying to make sense of my feelings. 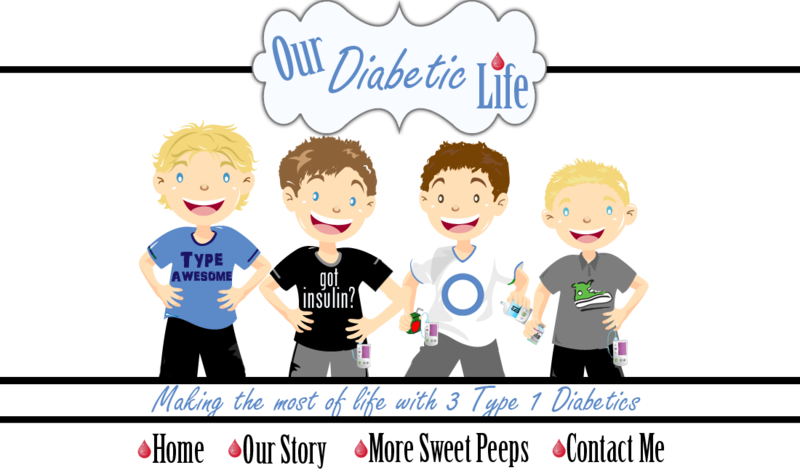 I’ve put two of my boys back on Dexcom Continuous Glucose Monitors. Their numbers are magically sent to my phone, pretty seamlessly, all day and all night. To put it lightly…I know too much. Regardless, these numbers are addicting. When the beginning of the year found me sleeping soundly through the night for months with no worries whatsoever, I now have multiple panic attacks daily. Now that I KNOW what is going on….holy shiz, Batman…my children’s lives are in danger 24/7. While I was at work last week, my High schoolers took the PSATs. They were both put in pretty rigid testing conditions for the first 5 hours of the day. I was alerted on my phone that my Freshman had a 60 blood sugar with an arrow down. He is a rule follower, so I was sure his phone was in his backpack and he was oblivious to the impending bad low. I called the nurse and asked her to find him and bring him a snack. She happily did so. But for the next hour, his sugars kept dropping until he was in the low 50’s. I was at work. I was beside myself with worry. My hands shook. The anxiety was powerful. My other son was giving me no numbers since school started. I knew he would turn off his phone because any Dexcom alarm during the test would have been the worst kind of happenstance. We've been fixing basals and he's had quite a few almost lows that week. So there I was, jarred. Alarmed. Genuinely scared…when I thought. “What is going on with you, Meri? A few months ago you were completely oblivious to what was going on and you had no worries." Seriously. Their blood sugars were not high on my worry list. It happens every time I put the boys on Dexcoms. All the mom alarm bells go off, and I want to micromanage every flow of numbers flashing on my phone. Yet…when the numbers aren't there…they find a way to live. They are ok. I know that having my eye on things makes things better for them, but it turns me into someone else, and that someone else doesn’t flatter me. It’s not like I rattle easily…but those numbers. You know the saying, "What you don't know won't hurt you?" Well, what I don't know hurts my children. I don’t like knowing what I do. I don’t like knowing how the numbers flow, and just how close we are to possible emergent situations every day. I don’t like harping on my boys. Text after text.. I heart and smiley face my brains out to make my texts seem something less than demanding. But what is my alternative? Ignorance. It sure is bliss, people. The way I can go from one extreme to the other bothers me. No worries to constant worries. I feel like my insides are the Tasmanian Devil. One second I’m still and calm, the next I’m flailing around in a fit of turmoil and despair. I suppose I’ll have to live with both for awhile longer. I let go a bit and my worries fade as my ignorance grows. Then I see that the boys need me to jump in again and, of course, I do. Man, teenager years are super hard. The ebbs and flows of emotions are taxing on a mother…both theirs and mine. So until we get a little closer in our thoughts, I’ll Taz my heart out, and let my husband rock me to sleep. I can’t unsee what I’ve seen. Dexcom, you are everything. And I love/hate you so so much. I watched September 2nd crawl nearer to me on the calendar every day last week. It was a relief each day to know it wasn’t here yet, and then yesterday morning, it came. And because I’m a complicated, emotional being…my feelings were complicated. I sat in a plateau of my emotions, trying hard not to go to one extreme or the other. Staying in a safe place while I figured out a way through the day. And then I went to church and found out that what I thought was complicated, wasn’t complicated at all. Gratitude for my life, my family, and my friends is currently overflowing. Ryan is gone, but…Ryan is absolutely not gone. He lives, and he has made sure his family is taken care of in every way. Miracles exist. And even though they aren’t the miracles we once would have hoped for, they are miracles nonetheless. It is a miracle that I’m in Indiana. It is a miracle that I’m married to Doug. It is a miracle that our families are not like oil and water. We are simply one. It’s a new concoction, but no less miraculous. I’ve been through moments in the past few years where I wasn’t sure I was strong enough to handle my new life, and so much change. I questioned my abilities over and over again, and had moments where I wished I could dissolve into the wind. But when I wished such things, I would be encircled by love and encouragement. There is no other man on this earth that could have walked by my side the past few years while I ventured to figure out my place in this world. There is no other man with the patience, and heart to guide me and lift me up over and over again. My husband Doug was chosen for me, and I promise to never take that for granted. It’s surreal that it’s been six years since we lost Ryan. It is so separate from my life now. Like that was Book One. And now I’m on Book Two. Though I treasure that Book One. It is a part of me. Every chapter built me into who I am, and I’m immensely thankful for the memories of a man that is woven into every page. And even more exciting, future chapters. A future I would have never imagined for myself, but was lovingly gifted to me regardless. And marvel at the strength it has given me, and my marriage. That in itself proves another miracle. 20 years ago, I was 25 years old and my son J was 9 months old. 20 years ago, The Yankees won the World Series, the Bulls won the NBA Championship, and the Denver Broncos won the Super Bowl. 20 years ago, Bill Clinton and Monica Lewinsky were front-page news. 20 years ago, the sitcom Seinfeld played its final episode. 20 years ago, popular movies were Mulan, Rush Hour, and The Truman Show. 20 years ago, one unit of insulin cost 4 cents. Now it costs over 25 cents a unit. That same 20 years ago…my baby was diagnosed with Type 1 Diabetes. -We almost lost him to DKA. -We were told a cure would come in 5 years. -Our lives were set on a new trajectory. It’s been almost half my lifetime. For J? His entire lifetime. 20 years of jabbing, stabbing, worrying, counting, doctoring, checking, changing, and fixing. 20 years of hugging, trying, fighting, loving, shrugging, hoping, and pushing through. At 20 years old, J is now an adult. He has a beard. He wears an insulin pump in his pocket and a CGM on his arm. 20 years ago I did everything for him. Today, he does everything for himself. The past 20 years has brought enormous change. I never would have imagined what was in store for our little family. Yet, we keep moving forward. Time does not allow for sitting still. This 20 year anniversary is a testament to that. 20 years ago, on J’s first birthday, I sobbed. Thankful that he had made it his first few months with Diabetes alive. Today my thankfulness for his life can’t be summed up with words and tears. His life is precious. The gratitude I have rushes through me like a mighty river. J is one of my greatest blessings. He could barely crawl 20 years ago. Here’s to the first 20 years. Now, my sweet J, it’s time to thrive. In honor of J’s diagnosis at 9 months old, my friend Mike Lawson will give one of his new picture books to a family who has a child with Diabetes. I wish my children had something like this in their hands when they were diagnosed. To know they weren’t alone, to know that others “check” and “click” too. Please leave a comment below to enter the drawing for Mike's book. It also can be ordered HERE. You can enter for yourself, or nominate another family with a small child with Diabetes. A step by step guide to perfection. Never sleep: Diabetes never sleeps and neither should you. Food, growth, exercise, weather, illness, and "The Voice" results can all affect blood sugars. Sleep is for the weak. Alarms are not guaranteed to wake you. Just stay awake. Forever. Never be tired: I know I told you never to sleep, but you must always be alert. I don’t care how tired you are. Staying in your pajamas late almost guarantees a call from the school to come in. And when the kids are home, every second counts. You have to be at the top of your game at all times. Your child’s life depends on it no matter how many minutes you slept. Always remember: Forget about forgetting. 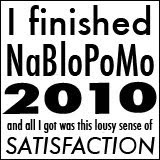 Remember the long acting shots, remember what bottle you drew from, remember to remind them to bolus at least 10 minutes before they eat, and remember the exact amounts they ate last time so you can guess without guessing. Remember what Kung Fu class does to their blood sugar, and remember to dual wave bolus for pizza. And remember the exact date of every month to reorder supplies. Don’t forget all the prescriptions will be rejected, so time reorders perfectly. Be an expert: Know the exact carb count of any food within seconds of a quick glance, (because that food is going to disappear in seconds.) Make sure you are a mathematician. There is no room for calculation mishaps anytime of the day, including three in the morning. Be a psychologist: Always know what your child is thinking and feeling. Depression goes hand and hand with this disease. It helps to have a sign that says, “Not my child! Not on my vigilant watch!” Make sure they are always treated fairly whilst at the same time teaching them life isn’t fair. Keep charts: Graph. Graph. Graph. Everything. Trends need to be at the tip of your fingertips at all times. And keep graphs of that woman’s child on Facebook. Comparing is the only way to validate perfectness. Keep numbers IN RANGE: If it’s not in range, you have failed. Make sure your child stays cute forever: You’re going to need to raise money for this disease forever. The cuter your child is in those JDRF pictures, the more money you’ll make. Keep them little forever. Take your child to the doctor and see how to put off puberty. Puberty brings acne, awkwardness, and smells. Not acceptable for a campaign counting on the AWWW factor. Give your advice to everyone who will listen: Since you are perfect, tell everyone. Let them know how they can be perfect too…by being exactly like you, of course! It only stands to reason that everyone in the world absorbs food exactly like your child. Deviating from your plan is unacceptable. 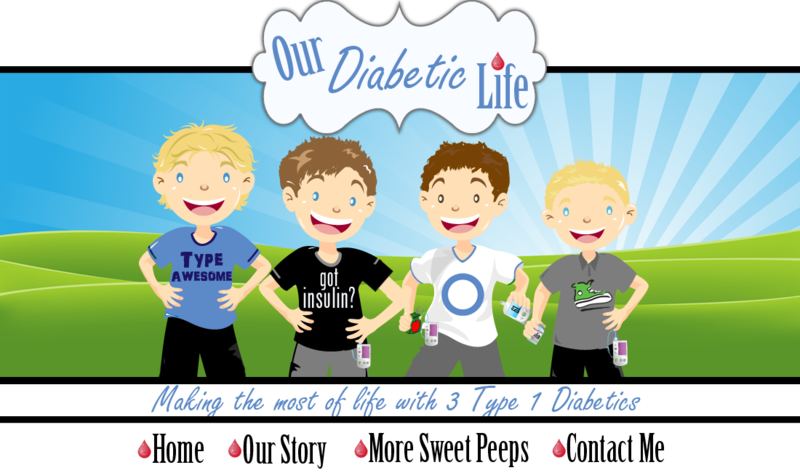 Have unlimited resources: Type 1 Diabetes is expensive. You need unlimited money to pay for medications, doctor appointments, therapy, and exotic trips to prove Diabetes has nothing on your child. Never question yourself: Always be right. Now that we’ve gotten through all that, please read the above again and FORGET IT. Everything up there isn’t real. It’s all fantasy. You are a human being. You are not a Marvel superhero. It’s ok to try your hardest, but don’t use the above list as your measuring stick. And please don't compare yourself to people you know nothing about. Their life isn't your life. You are way too hard on yourself. Do you love your child? Do you try your best?